While tuning in to watch Prince Harry and Meghan Markle’s wedding, you may have noticed the woman dressed in blue. While she’s not a long lost member of the royal family, she is incredibly important to Meghan. Eva Hartling, vice president of Megan’s favorite jeweler, Birks at the Birks Group, told People that the 36-year-old woman acted as the royal bride’s “unofficial maid of honor.” So, who is she? Meghan’s friend, Jessica Mulroney. Although there weren’t any adult bridesmaids in the May 2018 royal wedding, Hartling said Meghan “made sure that Jessica was sitting in that first seat closest to where Harry and Meghan were standing.” It’s obvious these two women are close, likely even best friends. Mulroney has managed to keep a low profile despite her unique position to the newest duchess, but it turns out she’s an amazing friend, professional, wife, mother, and more. Here’s some things you should know about Meg’s bestie. In kindergarten, did you know what you wanted to be when you grew up? While your ambitions may have changed since then, Mulroney’s have stayed quite fixed. In an interview with The Globe and Mail, she said her love of fashion began when she was just six years old. “I’m not obsessed with fashion, though, and I think that that’s what makes me a little bit different,” she clarified. While she said she enjoys the process and creativity that goes into picking what to wear, she doesn’t solely rely on expensive items. Instead, she’ll mix and match vintage pieces with modern ones. “I like the creativity of putting things together in an interesting way but I don’t try,” she said. Mulroney’s fashion sense may be quite effortless, but whatever she’s doing is working. 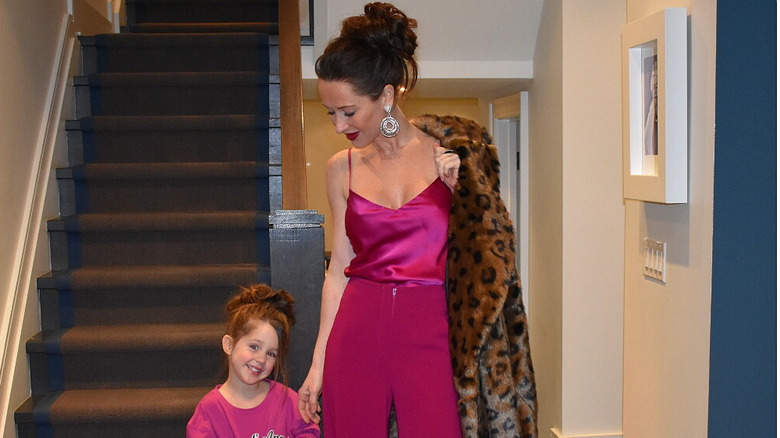 From the royal blue gown she chose for the royal wedding, to the everyday looks she shares on Instagram, Mulroney has got this fashion thing figured out. With her seemingly innate fashion sense, it makes sense that Mulroney would pursue a career in the field — or, as it happens, multiple careers. From managing the public relations for the bridal salon Kleinfeld Canada to styling Sophie Grégoire-Trudeau, the wife of Canadian Prime Minister Justin Trudeau, Mulroney has proven herself to be multi-talented. Despite having styled the spouse of such a notable politician — which happened to be for her meeting with the Queen of England — Mulroney was perhaps too modest to call herself Grégoire-Trudeau’s stylist. “There’s not really much for a stylist to do with her because she’s got great style on her own,” she told The Globe and Mail. “A fashion strategist, maybe,” she reluctantly titled herself. When Canadian department store Hudson’s Bay announced that Mulroney would essentially be their go-to person for their fashion and bridal business, they had some incredible things to say about her, even calling her “the lifestyle expert to watch.” They’re not wrong. Her range extends far beyond fashion. According to the company’s statement (via PR Newswire), Mulroney is a commentator on the Canadian talk show Cityline where she voices her thoughts on parenting, as well as style. “Jessica makes balancing a busy career and family look absolutely easy,” they wrote. Those things would certainly keep Mulroney busy, but she’s also a brand ambassador who hosts events, she manages the public relations of other Canadian brands, and helps run a charity. It seems Mulroney has certainly got multitasking down to a science, and somehow has manages to find a way to excel in so many different avenues of her life. It’s not hard to see what Meghan undoubtedly sees in her bestie. Was she Meghan’s wedding planner? As we now know, she did have the “unofficial” role as maid of honor. You have to wonder: could she also have also unofficially planned the wedding?